2008 Trailblazer SS Magnacharger Build – PCM of NC, Inc. 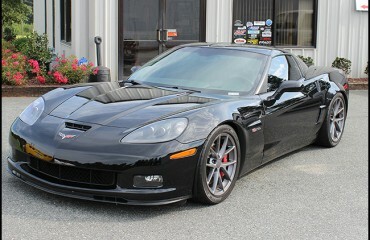 Originally a tuning customer with a 1996 Impala, Randy also heard about us through www.tbssowners.com. He decided to make the trip up to North Carolina to allow us the opportunity to wrench on his mint 2008 TBSS. 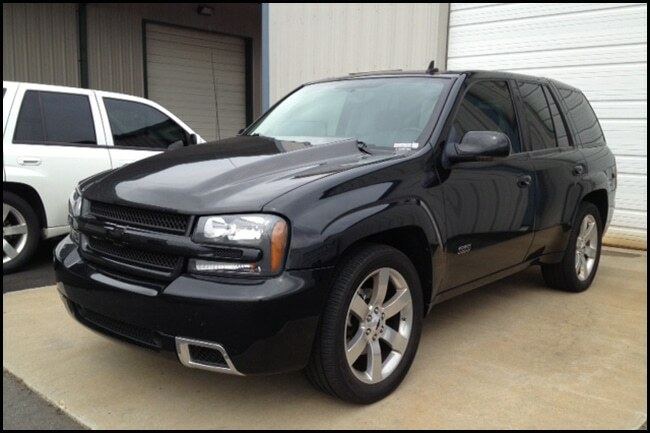 Initially, Randy fell in love with the Trailblazer SS while stationed in Hawaii. 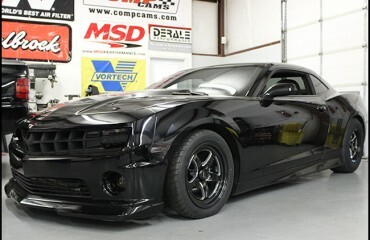 Coming back stateside, he selected a stock 2008 model in black to call his own. When our customer came to us looking for more power with stock driveability – we knew a Magnacharger would be the best way to go! We decided on a TVS 1900 and several additional parts to not only make the best of the installation – but also to support his new-found power. Magnacharger supplies a complete roots-style supercharger kit with everything you need – the blower, injectors, hoses, clamps, tensioner, etc. Since we specialize in fuel injection tuning, we opted to purchase the ‘tuner’ version of the kit for him, which doesn’t include the start-up tune from Magnacharger, but includes everything else. In addition to the Magnacharger, we added some 1 7/8″ Kooks headers to help the engine breathe better and make good use of the additional power. Randy also opted to go with many of the products we make in-house here at PCM of NC, including our SPAL dual fan kit, three wire battery cable kit, TVS 1900 4″ air intake kit and a black braided line transmission cooler kit. Knowing that the transmissions in the TBSS’s are not that strong, Randy also chose to upgrade it while he was here. 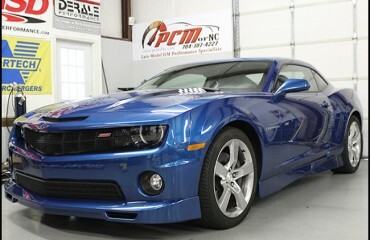 We went with a Level 6 build transmission from www.rpmtransmissions.com and complimented it with a Yank SC 2800 torque converter. The Yank converter will allow better utilization of the power without being too large or loose to affect daily driveability. Given that our dyno is only 2WD we were unable to get horsepower and torque results – but the truck felt amazing after the supercharger and tuning! In fact when taking off from a stop, the sunroof shade would fling open as fast as it could!